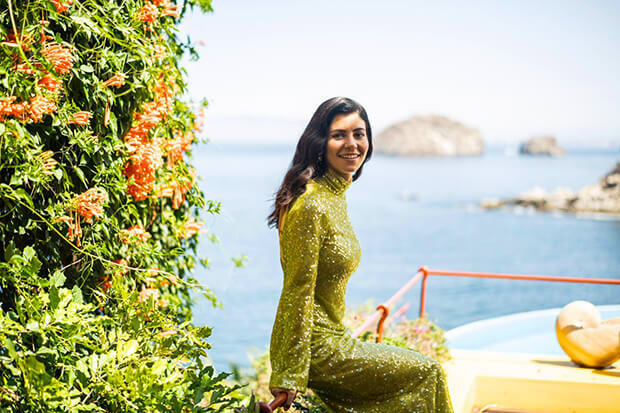 MARINA's 'LOVE + FEAR' Takes Shape With "Orange Trees"
UPDATE: The sun-dappled “Orange Trees” video has arrived. Watch MARINA in action in the summery delight below! The song really takes flight on the dreamy chorus. “Flowers in my hair, I belong by the sea,” MARINA coos. “Where we used to be, sitting by the orange trees.” It’s achingly lovely and definitive proof that the 33-year-old doesn’t need to be in the depths of despair to make great pop music. The video for “Orange Trees” arrives at 10am PST tomorrow (March 22) and finds the raven-haired songstress enjoying exquisite scenery and taking a stroll along the beach. LOVE + FEAR arrives on April 26. Listen to the latest cut below.